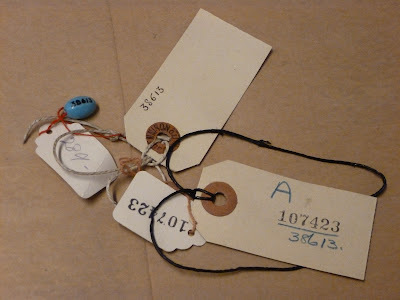 When the pioneering female anthropologist Winifred Blackman first approached Henry Wellcome in 1926 for funds to support her ethnographic research in Egypt she promised to collect for him a ‘number’ of interesting amulets in return. That ‘number’ turns out to very large indeed and I’ve taken on the rather daunting task of tackling it. 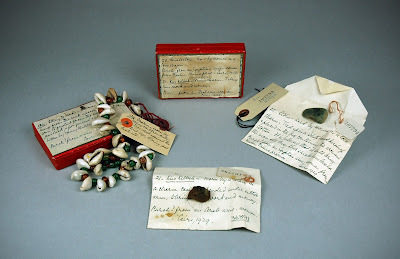 Like the de Mortillet collection that is the focus of the Small Blessings project, the Blackman collection is one of several large tranches of amulets that were transferred to the Pitt Rivers Museum in the 1980s. 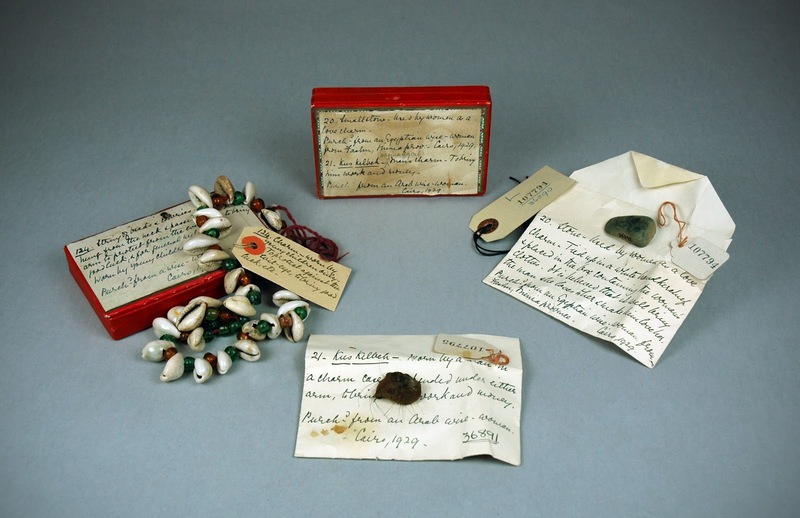 Given Blackman’s close association with the Pitt Rivers Museum through years of volunteer work and study for her anthropology diploma (awarded in 1915), it is very fitting that her amulets are now stored here. 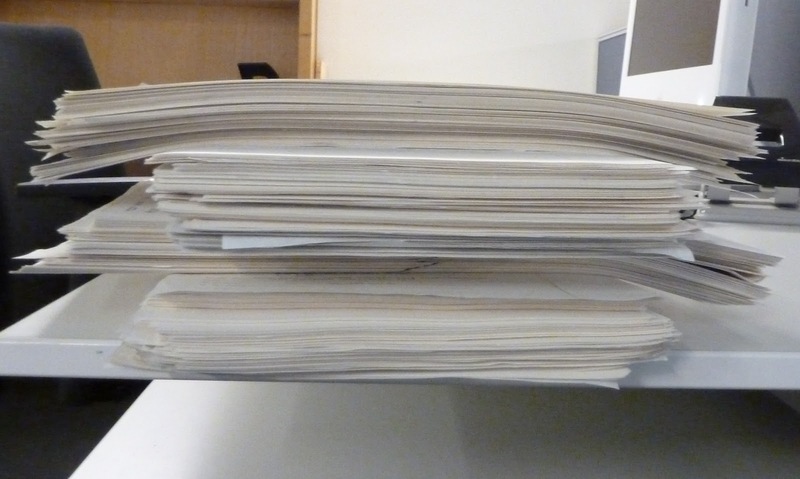 As Blackman’s letter indicates though, it’s not just the physical objects that were collected: there is also a mountain of notes to go with them. These record what each amulet was for, who she acquired it from and where they got it in turn. Blackman wasn’t the only one to bring such accuracy to the recording of these objects. 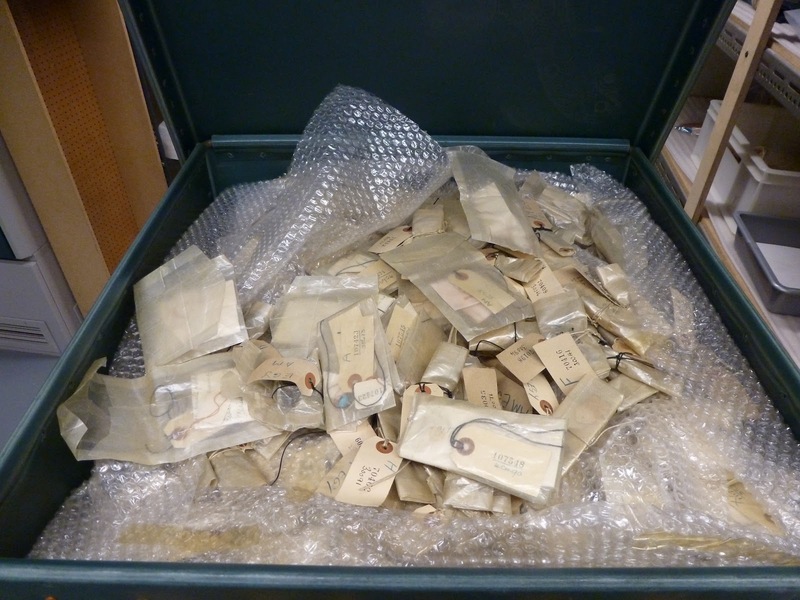 Wellcome’s own cataloguers also devoted many years to numbering these artefacts. The legacy of such labours are hundreds of tiny items that are now almost obscured by the sheer number of labels that surround them. My project is primarily a scoping exercise in the first instance that aims to get a better sense of this material. I’m also getting it into a more manageable order for future cataloguing (yes more museum numbers!). And order is beginning to emerge from the chaos of hundreds of bags of pebbles, shells, animal teeth, beads and other rather odd smelling things that Blackman took such care to acquire. So too are the many stories entangled with these little fragments, from the amulet to render a thief invisible, to the charm for a woman who wishes to be loved by all the people and the camel that needed protection from the Evil Eye. There’s an amulet here for everyone and everything. The Blackman project is kindly funded by the John Fell OUP Fund, University of Oxford.